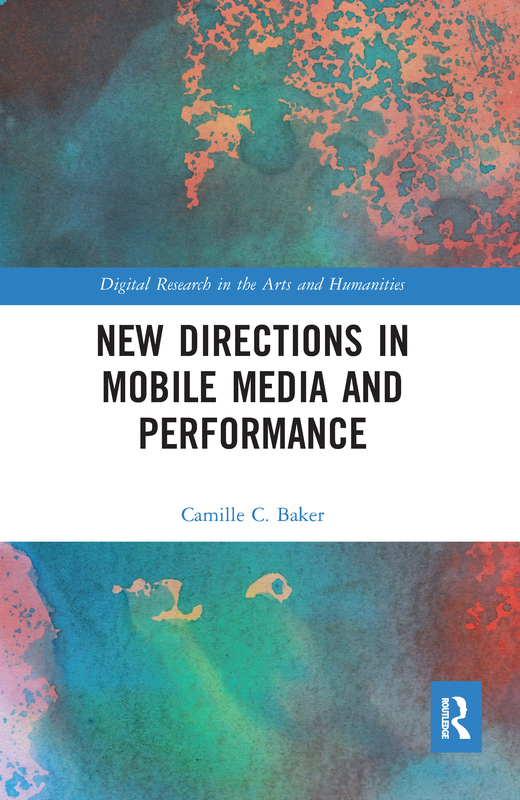 New Directions in Mobile Media and Performance explores various performative projects and forms of expression that have emerged since the onset of the smartphone. It focuses mainly on new concepts and developments that have emerged in mobile media performance. It showcases the intimate and phenomenological mobile aesthetic that has been unfolding within networked performance and media art projects for over a decade and a half. This aesthetic utilises the potential and affordances with each iteration and update of modern smartphones. Themes of embodiment, presence, liveness and connection through mobile, networked, and remote technology are revisited in the context of HD mobile cameras, selfies and live video streaming from the phone, as well as the impact of peer production, opensource and Maker culture on mobile media performance practices. It explores the surge in development of wearable devices in performance, as well as how the ‘quantified-self movement’ has affected performance works. It deals with concepts and developments in intermedial performance that incorporate mobile and wearable devices, especially from the artist’s, designer’s or dramaturge’s perspective as the creator and their creative process, working with technology as a collaborator, not just a tool or guide. The book demonstrates how artists have repurposed the device – transforming it from merely a communication device, using voice and text only – to become a new collaborative medium, a full visual, synaesthetic, interactive and performative tool of deeper expression and social change. It discusses seminal works and the evolution of the medium, within intermedial digital art and performance practices as medium for artistic expression, creative process and staged performances. It focuses on projects and artists who have pushed mobile media performance beyond the conventional blackbox. Emerging visual, digital, interactive, tactile, gestural and theatrical or performance projects that incorporate mobile or wearable devices, used as vehicles for more challenging, experimental, experiential and immersive performative artworks are highlighted. The book also contextualises Baker’s own media research and performance practice within the larger landscape with the field. It is bookended with interviews with the artists themselves on their creative process and intentions. It is the outcome of three years of research of artistic works around the world, interviews, in-person viewings of performances, as well as incorporating and reflecting on her own ongoing practice and projects in context.